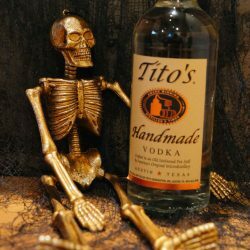 It’s the time of the year when friends and family, new and old, gather around to feast on tasty treats and toast to good fortune with a Tito’s cocktail or two. 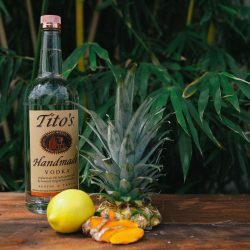 Celebrate the Tito’s Handmade Vodka way and find some common ground by filling the table with dishes and cocktails that everyone* can enjoy—carnivores and vegans, alike! Think tangy Spiked Cranberry Sauce paired with a Cran-Orange Infusion, or a Buzzy Kale Salad with a Harvest Punch—just to name a few. Even the side dishes are spiked with Tito’s because that’s how we like to cook around here. 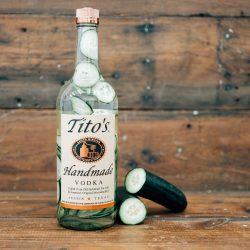 Take a look at our Tito’s-infused recipes below for some creativity in the kitchen. Cheers! Tart and tangy, our Cran-Orange Infusion is perfect for the holiday season. 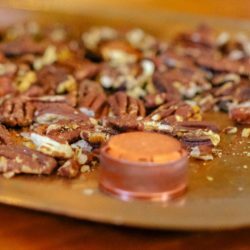 We suggest mixing it into a punch, or enjoying on the rocks! Boil the frozen cranberries for about 5 minutes or until they pop and let cool before adding to your Tito’s along with the orange peel. Let sit for two weeks before straining out fruit. Pro-Tip: Be careful to avoid the white pith of the orange as that can make your infusion bitter. 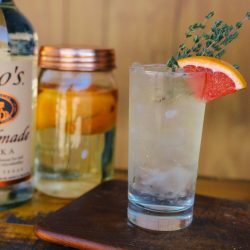 Our Thanksgiving Tito's & Tonic is easy and refreshing. 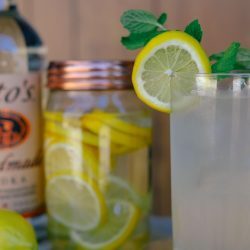 Sometimes you just need a break during the holidays, and this cocktail has you covered. 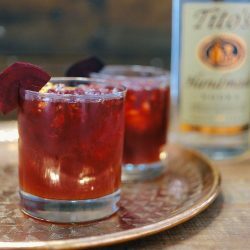 1 1/2 oz cran-orange infused Tito's Handmade Vodka Make It! Pour ingredients into a glass over ice, stir and enjoy.